Apparently, all the aforementioned factors are hardware related. But before you consider getting a new device, you still can do some things in an attempt to save it. If you haven't tried any of these subsequent solutions, then try it now. Method 1: Charge the phone for a little longer. The phone may not have enough power to turn on because the battery is completely drained. That said, try to charge your device a little longer or at least an hour or two and see if it makes a difference afterwards. As recommended by device manufacturers, connect or charge your device from a power outlet. Make sure it's properly charged. Method 2: Replace the battery. If the battery is depleted and the device won't charge, then try to replace the battery with a new one, if possible. The same variant with the original, the better. Method 3: Repair Power button. If the device can't be powered on because the Power button is stuck or damaged, the only solution you've got is repair. And that means, taking your device to an authorized Samsung technician for service. Otherwise, you can resort to a temporary workaround as demonstrated below. Important Note: This method will require a use of a computer. 1. Press and hold the Volume Down and Home button on your device. 2. While holding down the Volume Down and Home buttons on your Galaxy device, use a USB cable to connect the phone to your computer. 3. Keep holding the Volume Down and Home button until your phone boots into Download Mode. 4. Once it boots into Download Mode, press on the Volume Down button. Do this to cancel the Download mode. 5. Your phone will reboot once the Download mode has been cancelled. 6. Wait for the phone to complete the restart and that should do it. 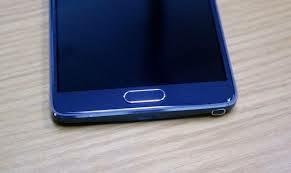 Now, if you may ask how to turn of your Galaxy device when the Power button is damaged? The answer to that is using a third-party app. Thanks to apps developers for making pertinent apps available to smartphone users who are having power issues on their devices. One of these apps is the Button Savior. You can get it from the Play Store. 2. Open the Play Store. 3. Type in Button Savior on the Google Play search bar. 4. Download and install the non-root version of the app. 5. After the installation, open Button Savior on your phone. 6. Select the option to Kill/Start Button Savior Service. You will then see a small arrow on the right side of the screen. 7. Select that arrow to convert it into icons. 8. Tap and hold the Power button located on the bottom part of the icon list to view device options. 9. Select the Power Off option. Your phone will now turn off. If none of these methods works, then most likely, your phone is damaged and can never be rectified with any of the aforesaid workarounds. In this case, your next option is either to contact Samsung or your carrier for further recommendations, otherwise, take your device to a technician for repair.